Fortinet has announced a new SD-WAN/NGFW combo appliance, the 100F. It also added new SD-WAN capabilities in the 6.2 release of its operating system, and rebranded an ASIC to reflect its growing emphasis on the SD-WAN market. What designs require BGP in the data center? In this Packet Pushers Virtual Design Clinic video, a panel of networking experts weigh in on this question. As the latest WLAN standard (802.11ax or Wi-Fi 6) makes its way to final ratification, vendors are releasing APs. But should you deploy now? This article explores the reasons for early adoption, as well as for waiting. 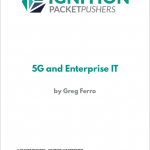 Check out a new whitepaper from Greg Ferro that provides a detailed overview of 5G and its relevance to the enterprise, including 5G’s impact on wireless networking, IoT, and SD-WAN. Get up to speed on how 5G differs from previous standards, spectrum differences and why they matter, and more. Here’s a brief technical overview of Wi-Fi 6, also known as 802.11ax, to help get you up to speed and ask the right questions for when you consider an upgrade. We cover OFDMA, whether Wi-Fi 6 means faster speeds, power savings, and more. Does Creativity Thrive When IT Resources Are Limited? How Does An Engineer Become A Manager? How does an engineer move into a management position? A group of expert panelists offer their perspectives on this audience question from the Packet Pushers’ Virtual Design Clinic. Here’s a few tips to overcome the most common objections to starting a tech blog, including feeling like you don’t know enough and a fear of making mistakes. Think P4 is OpenFlow 2.0? Nope. This Virtual Design Clinic video will set you straight. Aaron Glenn explains exactly what P4 is, the chipsets it works with (all about that compiler! ), use cases for P4, and whether the average network engineer needs to be concerned about it. 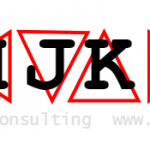 Avi Freedman, co-founder and CEO of Kentik, demonstrates how to build a monitoring dashboard for cloud-native applications during the Packet Pushers’ Virtual Design Clinic 4 held on March 14, 2019. A guide to a starting point for enterprise automation. What Do Network Engineers Want? 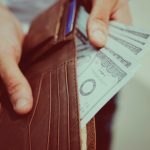 Here’s five things I think network engineers want from their vendors, from good software to straightforward licensing. Meta Networks has added new features to its secure remote access service, including client checks and full audit logs of client Web behaviors. 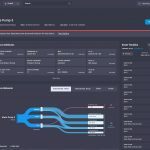 Netrounds is a Swedish company that makes software to help service providers and large enterprises validate network performance and availability by combining active testing and monitoring in one product. Here’s four reasons why Juniper acquired WLAN startup Mist Systems, and three challenges for Juniper going forward.